You’ve probably heard the phrase, “I wish I knew then what I know now,” or maybe uttered it a time or two yourself. As entrepreneurs, there are so many things that we learn as we go down the path to starting and growing a business. It can be difficult to know which processes to put in place as you juggle leadership and operations all at once. Time and again, entrepreneurs have told us, I wish I had put that in place from the beginning. But hindsight is 20/20, right? Your financial operations and how you run them are critically important today and will become even more important as your business grows. The processes that work as a startup, are not going to meet your future needs. Basic financial operations won’t be enough when you are ready to act on your growth plans and raise capital. While VCs and private equity professionals don’t expect the CEO of an early stage company to be a CFO, they will expect financial data for insight into your company’s past performance, present standing and future plans. 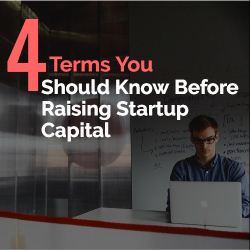 It’s important, as early as possible, to capture the right metrics and have them available to share with investors in a way that will make your startup more valuable. First, you need to familiarize yourself with the right terms. Investors will want to hear about your business – but in their own language. The more you know your business and can explain it to them in their language, the more your business is worth. Remember, all financial investments have a dimension of risk management. The absence of information equates to risk and puts the negotiating leverage in their hands. The more information you can communicate to them, the fewer the unknowns, the lower the risk and the higher your valuation. MRR is a measure of the predictable and recurring revenue components of your subscription business. It is probably the most important SaaS metric of all because it gives you the operational insight to accurately forecast, plan and measure growth. For example, you may have a general idea of your expenses month over month. MRR allows you to gauge if your recurring revenue is covering those expenses so that you can budget more confidently. If there is a little room left in your MRR, you may decide to amp up your marketing spend. MRR also provides the operational insights you need, regardless of the subscription term length. If your business offers both annual and monthly subscription terms, MRR normalizes the varying term lengths that many SaaS businesses end up with over time and enables you to treat your data consistently, arguably the most important thing to do when dealing with subscription metrics. Also important to note is that many of the other metrics we cover below are calculated using MRR so if it is incorrect, those metrics are likely to be incorrect as well. It’s important to get this right. Another critical metric that can be difficult to measure if you don’t have the right solution and processes in place is CLV, the net present value of your average customer over the average customer lifetime. This metric is important because resource allocation decisions can flow from CLV. For example, most CEOs are aware of what it costs to acquire a customer. If that cost is below your CLV, it may be time to scale up sales and marketing. If it is above your CLV, it might make sense to be more cautious about allocating resources because spending is out of balance. Your funding situation and strategy will dictate resource allocation but at the very least, you need to be aware. CAC is another critical metric because it allows you to determine the CLV/CAC ratio. In other words, what you can expect to get in customer lifetime value for every dollar you spend to acquire that customer. You’ll need to calculate CLV and CAC separately to get this ratio. In most cases the CLV should be higher than CAC. This can also be a very telling metric for VCs because a customer lifetime value that is greater than the cost to acquire that customer, while not completely conclusive, is a good indication to them that your revenue engine is working and resources are being responsibly allocated. Cohort isn’t a metric per se, but is just as important. By definition, a cohort is a group with a common statistical characteristic such as a common price band or geography. It is a style of report that not only is useful in indicating churn, but also can be used to test marketing campaigns and resource allocation. For example, if you run a cohort report based on subscriptions initiated during a specific date range, it could show if customers acquired at that time, subject to the same level of product maturity, customer support, on-boarding, pricing & packaging, are growing in MRR contribution or shrinking relative to customers from other cohorts. You’re able to correlate performance with marketing actions, sales plans, pricing and support policies that were in effect at that time and can use this information to identify the business practices and processes that maximize the revenue contributions of customers. Understanding these terms is the first step. You’ll also need the ability to collect and analyze all of this information and for that, you’ll need some help. Like most emerging and growth stage companies, you probably use QuickBooks as your general ledger. Then, as your business evolves and you need more than the basics, you create spreadsheets for things like MRR/ARR, churn analysis and cash projections. Manually updating these disconnected spreadsheets becomes error prone, non-scalable and time consuming. Additionally, this injects risk into your financial operations, and negatively impacts your efficiency and investor valuation. Not to mention, spreadsheets can’t provide the financial metrics and analytics that investors will demand. It’s important that you are smart about your financial operations from the start. If you’re already living in what we call the spreadsheet vortex, it’s not too late. Start by researching software that can help you capture these metrics as a by-product of your daily financial operations. Make sure you select one that can scale and meet your needs as you grow. Remember that every investor has a preferred way they want to see numbers – so use flexible software that allows you to capture and analyze metrics in a variety of ways. Tim McCormick is the Chief Executive Officer for SaaSOptics, affordable and flexible subscription management platform for growing SaaS and subscription-based businesses. Founded in 2009 by entrepreneurs who lived the challenges of running their own SaaS business, SaaSOptics is the only solution that can scale with a growing business, providing the day-to-day financial management capabilities needed, and the auditing, reporting and analytics that are critical for future growth.